3 Bdrm Detached Cottage. Ground flr: Hall. Lounge. Dining kitch. 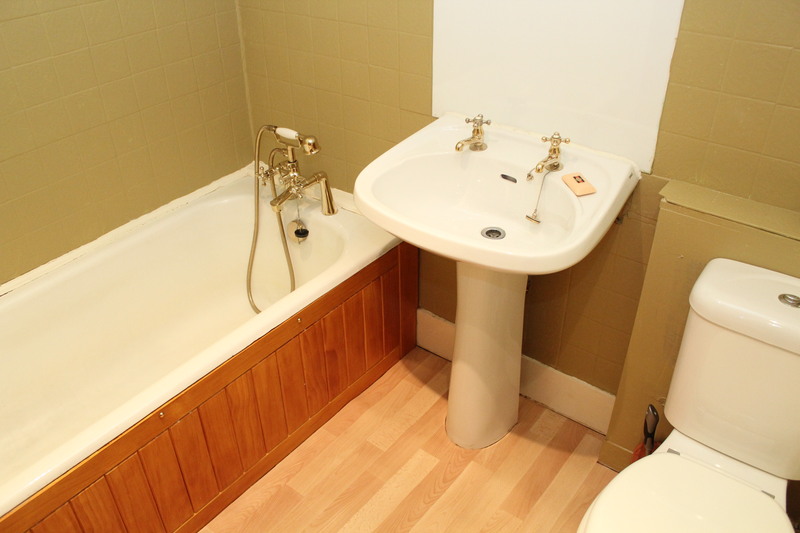 Bdrm with ensuite. 1st flr: 2 Bdrms. Bathrm (CT band - D). Garden. Garage. Price around £127,000 Entry by arr. Viewing 07738 918556. (EPC band - D). 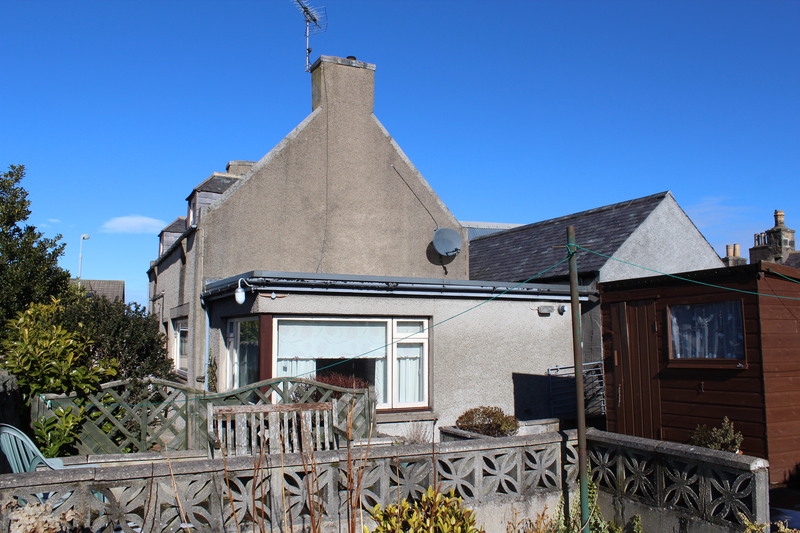 Enjoying a pleasant location close to the centre of the busy market town of Oldmeldrum this spacious THREE BEDROOM DETACHED COTTAGE is in need of some modernisation but does provide excellent family accommodation. The property benefits from gas fired central heating with secondary double glazing fitted to the original windows. The accommodation comprises of a bright and airy lounge which has been tastefully decorated and features a gas fire set on a marble hearth with a wooden mantel. 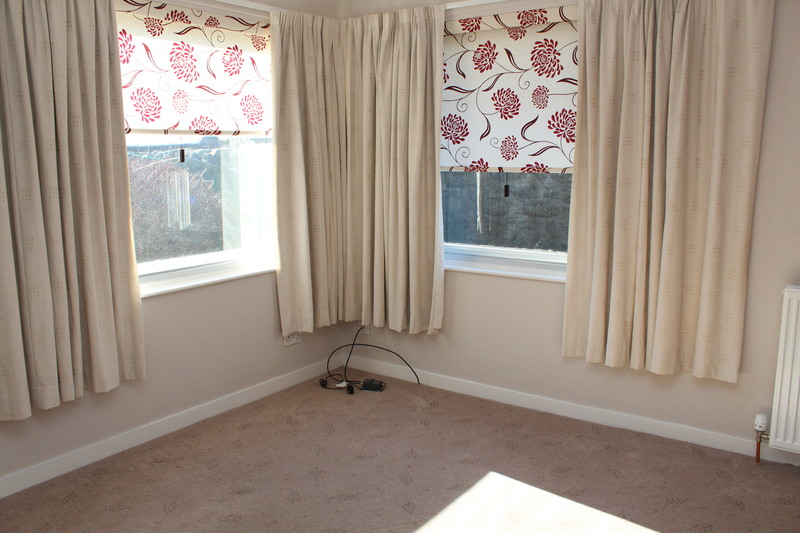 Leading from the lounge is a generously proportioned double bedroom fitted with an en suite shower room. Completing the accommodation on the ground floor is a spacious kitchen which is in need of refurbishment but does provide ample scope for a dining table and chairs. 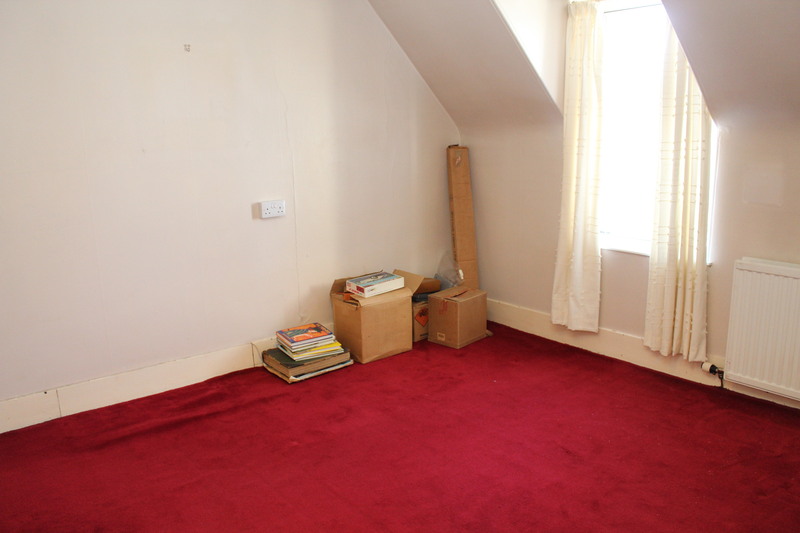 On the upper floor there are two further generously proportioned bedrooms and a centrally situated family bathroom. Outside the gardens have been attractively landscaped with mature shrubs and flowers. To the rear of the property there is a large stone built garage. HALL : Entered by a solid wood door the hallway gives access to the lounge and kitchen. LOUNGE : 15'9” x 14'11” (4.85m x 4.59m) approx. 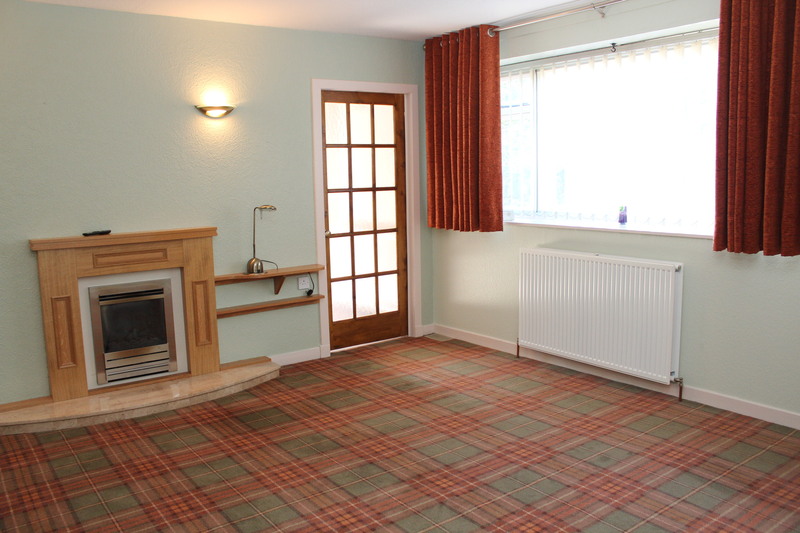 A good sized lounge tastefully decorated and carpeted in neutral tones and overlooking the front of the property. Feature gas fire set on a marble hearth with a carved wooden mantle above. Wall lights. T.V. and Telephone points. BEDROOM 1 : 12'5” x 11'5” (3.82m x 3.51m) approx. 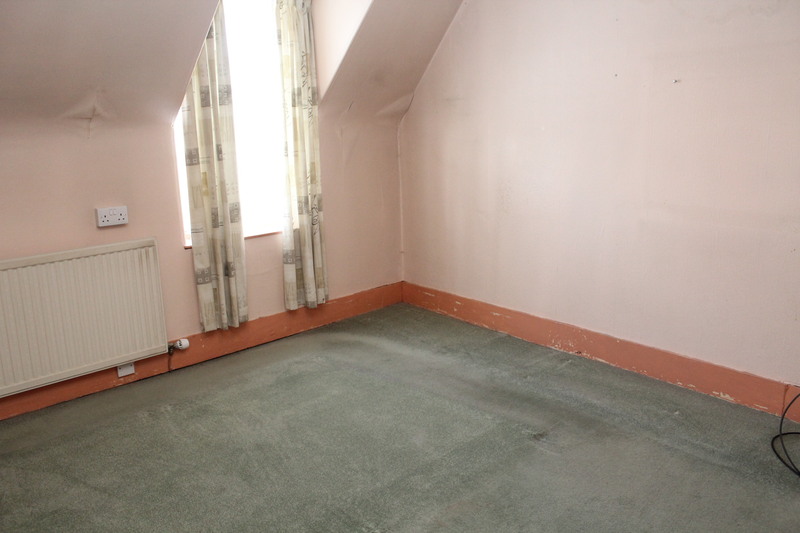 A bright and airy double bedroom, freshly decorated and carpeted and enjoying a pleasant outlook over the garden. T.V. point. EN SUITE SHOWER ROOM : Fully fitted with aqua panelling the en suite shower room has been fitted with a modern two piece white suite with the wash hand basin set within a vanity unit with a mirror and light pelmet fitted above. The walk in shower houses a “Mira” shower. Chrome heated towel rail. Xpelair. KITCHEN : 14'7” x 10'2” (4.49m x 3.12m) approx. Also overlooking the front of the property this generously proportioned kitchen is in need of refurbishment but does provide ample space for a large dining table and chairs. Single stainless steel sink and drainer. Cupboard housing central heating boiler and further fitted storage cupboard. Telephone point. UPPER HALL : An open tread staircase leads from the lounge to the upper hallway off of which all further accommodation is situated. BEDROOM 2 : 11'11” x 11'4” (3.66m x 3.49m) approx. A large double bedroom overlooking the front of the property and fitted with a large walk in wardrobe fitted with shelving. Access hatch to loft. BEDROOM 3 : 11'5” x 10'9” (3.51m x 3.31m) approx. Also to the front this again is a good sized double bedroom fitted with a double wardrobe and a further shelved storage cupboard. T.V. point. 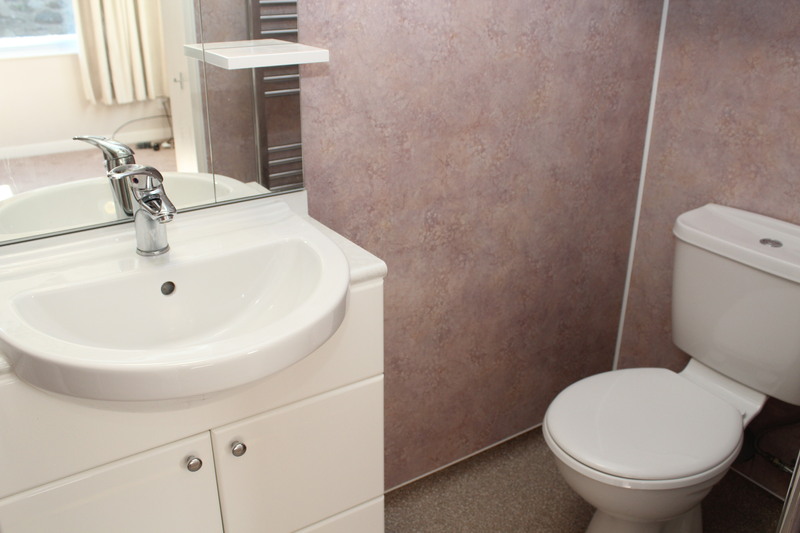 BATHROOM : The centrally situated family bathroom would also benefit from refurbishment but is currently fitted with a three piece white suite with a shower attachment fitted to the bath. Xpelair. OUTSIDE : A paved pathway to the front of the property leads to the good sized garden to the side which has been finished with a paved patio and a further barked area of garden planted with a range of shrubs and flowers. Wooden garden shed. Stone built garage located to the rear of the property. TRAVEL DIRECTIONS: From Inverurie take the B9170 to Oldmeldrum, turning left at the roundabout, signposted for Methlick. Continue along this road to the roundabout at Meldrum House Hotel, turning right onto Urquhart Road. Follow this road for some distance and take the third road on the right into Kirk Street. 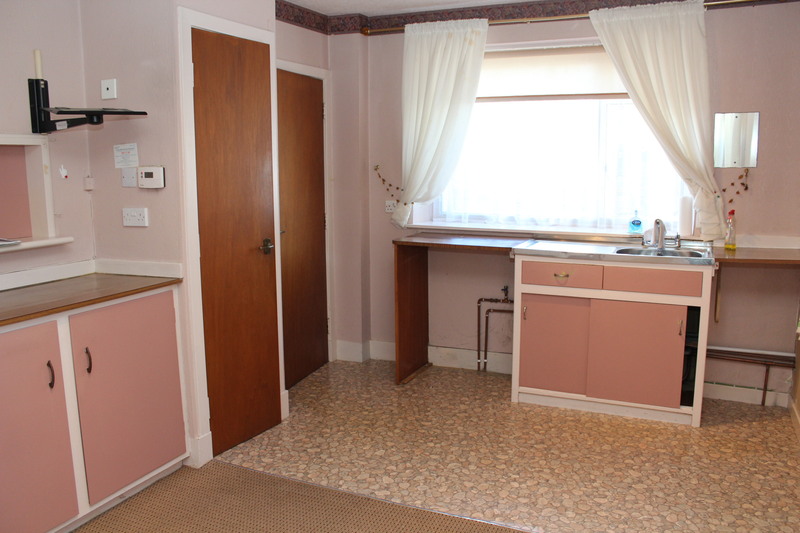 The property is situated a short distance ahead on the left hand side of the road.